I am in love with this photograph. It looks like a painting. It's slight blurriness and bright sun just feel so romantically hopeful, and the background tan of the lawn so bleak and washed out. There's a story in there. A story of a person in the midst of a drought who picked their first batch of chioggia beets, their hand clutching the bunch with pride. Somehow, in this moment, the beets were all she needed. This salad makes me proud because it's almost all from my garden, and entirely local (excluding the dressing). The only thing I didn't grow was the corn, which is from Davenport's Farm in Stone Ridge. I grilled it and cut it off the ear to add to the salad. The rest is sugar snap peas, green beans (Hank's Xtra White) both blanched first, beets boiled off, and scallions. Tossed with a vinaigrette. That's it. There aren't many recipes flying around here lately because when you have stuff like this you just prepare it the way it needs to, and toss it in a bowl. That's how we eat summer. Yesterday I made kale salad and it was simply this: steam kale until tender, chop up coarsely, add a cup of pickled carrots and their brine, and voila, an insanely tasty and healthy salad that just gets better as it sits. No oil. 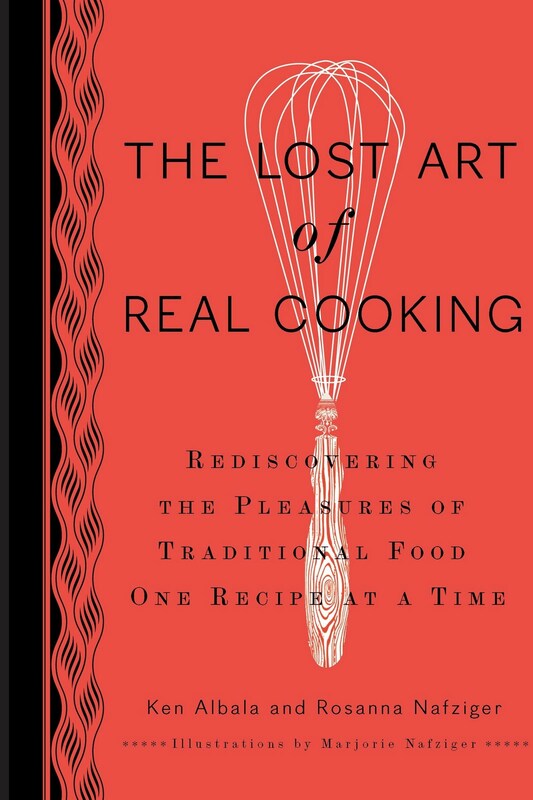 In the meantime, while you're making summer salads, check out Tigress' giveaway for The Lost Art of Real Cooking by Ken Albala (he has a blog, Ken Albala's Food Rant) and Rosanna Nafziger (her blog is Paprika Head). 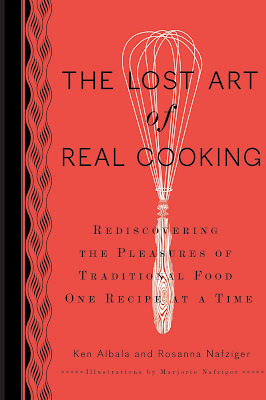 This book came my way, too, and I'm pretty impressed with it. When I first began reading it, I thought, well, now here's a book that's pretty much all about what I like to do and then some! That's always a good thing to think when cracking a book. I'm planning on making beer following their recipe, and when I do, I'll have a giveaway as well. So if you don't win Tigress' giveaway, come back over here in a bit and try again! that photo and the salad look lovely. makes me want to run out to my garden and get some beets! JULIA YOU ARE ON A ROLL. BECOMING FAMOUS!!! I AM VERY PROUD OF WHAT YOU ARE DOING. BEATS LAURA ALL TO HELL. Tigress - I'm so excited about the beets! It's my first really nice crop, thanks to the great topsoil I got this year. I've got some serious clay soil and it was not good for beets, needless to say. And, you're welcome. But of course! Have you tried slicing the beets super thin and kneading them with a little salt until they release liquid and soften, then rinsing and tossing in the salad? They keep their color that way,which is especially nice with chioggia beets. It's hard to eat much besides salad these days. Peter - Interesting. I never thought of kneading my beets, but I'm game! Regarding the hot weather? I had my first pining for fall the other day. Seems soon, doesn't it?